We would like to welcome Maia and Rowan to Anderson's Bay School. On a final note, on behalf of our Teaching and Support Team, at Anderson's Bay School, I would like to wish you all a very festive and happy holiday season. We have had an exciting year, in so many ways, and it has been a privilege to see the growth and development of the children across the school. The children and families should all be very proud of these achievements through 2017! During the past weeks our whole school was involved in a variety of experiences at school and away from school. We would not have been able to make these experiences a possibility without the support and help of so many. For all of your help throughout the year I would like to thank you, it has been very much appreciated! Finally, I would like to extend, on behalf of our team at Anderson's Bay School, our very warm and sincere best wishes for a safe and enjoyable Term Break. The final day of school for 2017 will be Thursday 14th December. Classes and school will finish at 12:30 pm. Please also add this into your diaries and arrange for the early finish time. We will be holding our final assembly at the Edgar Centre on Wednesday 13th December, at 6:00 pm. Could you please arrange to have children arriving from 5:45, children are to wear tidy mufti and may have optional Christmas accessories. To assist us with the cost of running our assembly at the Edgar Centre and transporting children for the rehearsal we will be asking for a gold coin donation per person for entry. On Monday the 27th of December the Year 6 children went on a exciting road trip to Camp Iona for the week. The weather was amazing and all of the children had a fantastic time in the sun. The activities that the children and adults enjoyed were Totara Estate, archery, camp cook-out, abseiling, kayaking, search and rescue, rock painting, tenting, river swims and the waterslide. Our lovely student Emmason was bitten by an enormous black eel while swimming in the river. Maybe the eel thought that Emmason’s foot looked like a tasty fish! On the last day we went to Oamaru pool for an awesome swim and had a picnic lunch. Camp was an amazing experience! Thank you to all of the parents that helped to make our camp so wonderful. On Monday we went to St. Kilda beach for a surf life education. The life guards that were with us were Brittany, Paige and Charna. They taught us about how to identify rips and currents and then we swam for a while. On Tuesday we walked to Chisholm Park and played golf. There were four different groups and activities. We spent fifteen minutes at each activity. On Wednesday we had pyjama day. We wore our pyjamas to school. We had a French breakfast with cheese, bread, croissants, pancakes and cereal. In the afternoon we did Christmas craft. On Thursday we walked to St. Clair Salt Water Pool where we spent a long time in the water, then we took a bus back to school. On Friday we went to Inflatable World, we were there for two hours then we walked to Queens Gardens and had lunch. After lunch we walked to the Art Gallery and looked at a carved car and then made castles and scenes then we watched a movie. My favourite trip was the Beach Education at St Kilda. My favourite part was the swim in the ocean. My outdoor education week was very fun, but my favourite day was Friday, when the Year Fives went to Inflatable World. Inflatable World was fun. Me and my friends played ball tag there. The Year Fives stayed there until twelve o'clock, then the Year Fives walked to Queens Gardens and had lunch. Then we walked to the Art Gallery and John showed us a fake car with fake bricks under it and fake props in the fake car. Then the Year Fives made a city out of blocks and toys. The end of Term 4 is fast approaching!!!! If you have not already paid for your 2017 School Fees can you please arrange payment. Those families with Term 4 Swimming, Sports Fees, Year 5 Outdoor Education and Year 6 Camp still outstanding please arrange payment as soon as possible. Payment can be made at the School Office (either cash, cheque or eftpos) or through Internet Banking. Please use your child's name as as reference. 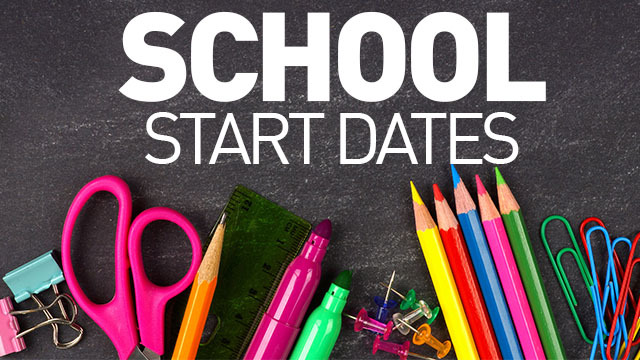 As from 2018 all stationery at the start of the school year will be ordered on-line. We would like to take the opportunity to both thank and farewell Charlotte Turner, Lorraine Wiel and Janet Arcus at the end of 2017. We have thoroughly enjoyed having you all at Anderson's Bay School and have appreciated the contributions you have made! Children in Years 4 through to 6 will be bringing home an end of year report on Monday 11th December. This report is primarily for the communication of how your child has progressed throughout the year, reflecting judgements based on a culmination of teaching and learning experiences throughout the year. As a secondary part of the school report, classrooms for 2018 will also be communicated. We would like to point out that the main purpose of the reports is for parents and children to have a document reflecting end of year progress, and as such we would sincerely urge that you please do not open reports at school, but instead take them home, and take the time to sit down and read them carefully. For children in Years 1 through to 3 you will also receive a letter identifying the 2018 classroom placements for your child on Monday 11th December. At times, following the presentation of reports and classroom placements, we field queries from families about what other children will be in their child's class, at times this is also combined with some misinformation about the placement of other children and followed by anxiety by children and families. Please reassure your child that the placement of peers will become known on Tuesday 12th December, when children are provided with the opportunity to spend a short period of time with their 2018 classroom teacher and peers in their new classroom. Your help can make a difference – the more parents we have helping, the more the load can be spread. If you can assist, please phone, text or email me. A roster will then be sent out to parent supervisors. Guidelines will be provided on what to do. As the year draws closer to an end, we have a great deal of lost property items that have accumulated over the year. The lost property trolley is located in our hall. It would be great if you could check this for any items that may have not made it home. We have recently been informed that we will be experiencing major roadworks along Jeffery Street for the start of 2018. It is anticipated that the roadworks will begin on 8 January 2018 and continue through to the mid or end of February. As a school we can expect Jeffery Street to be inaccessible to general, non-residential traffic, during this time. Please note this in your calendar for the start of next year, so that you can plan ahead for these closures. If your child was in the Rata Team in 2011 you are welcome to collect the fabric self-portrait drawn for the Team Banner. These are available at the office. Bookings are now open for our ever-popular Holiday Programme, this time we are going on a Summertime Adventure! fun games, stretching, breathing techniques to help to stay calm, massage, Christmas arts and crafts and RELAXING.